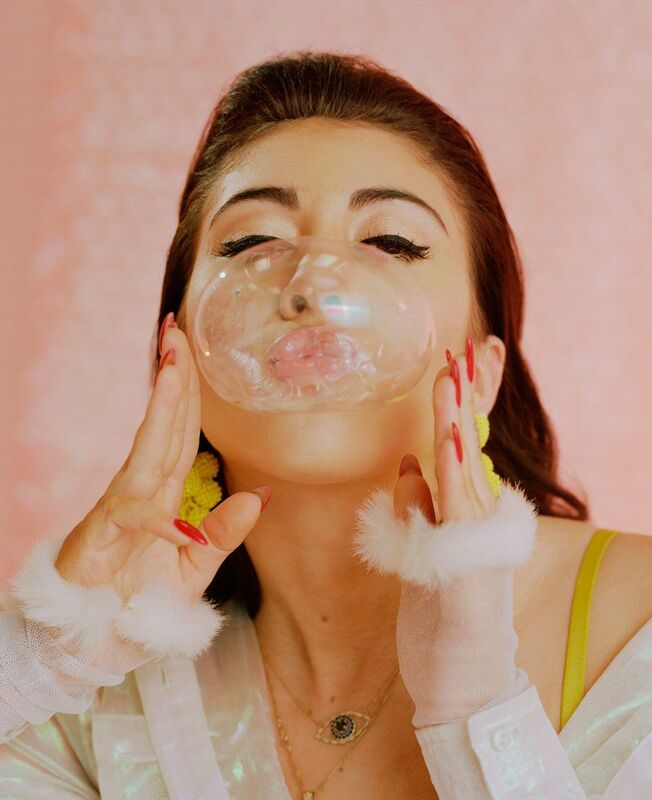 Kali Uchis is busy. When we spoke last month, the singer was mid-soundcheck, preparing for a gig in London, which came on the heels of a recent North American tour opening for Lana Del Rey. It's been that kind of non-stop movement since she released her first mixtape, Drunken Babble, in 2012. Since then, she's dropped eight singles, collaborated with artists like the Gorillaz, Tyler the Creator and Diplo, and was even nominated for Best R&B Performance at this year's Grammy's, for her song with Canadian singer Daniel Caesar, "Get You" — all before the release of her debut album, Isolation, out April 6. That's a lot for anyone, but especially a girl who started her career while living in her Subaru in parking lots around Alexandria, Virginia. Born in the States, but raised between Colombia and Alexandria, Uchis, whose real name is Karly-Marina Loaiza, began performing while she was in high school. By the time she was 17, she was living in her Subaru, going back and forth between jazz band practice and writing songs in her car. A year and one mixtape later, Uchis decided to self-release Drunken Babble, uploading it to free download site, DatPiff, in 2012. Labeled a "genre-defying" success by critics, the record also attracted the attention of artists like Snoop Dogg, who tapped Kali for his 2014 release, That's My Work 3. "I was just doing what felt natural to me," says the 24-year-old about the time in her Subaru. "[Songwriting] is not so much of a thought process as it is a feeling and you can't control when it's going to come out. I mean, you can't predict when it's going to rain. You can read the forecast and try to prepare yourself, but you never actually know when it's going to come pouring down." It's that attitude that's led to the somewhat delayed release of Isolation, even though some of the songs from the album were actually penned during that time in her car. And that's because, while most artists would've have attempted to capitalize on their initial success, Uchis has no interest in letting pressure from critics determine her work. "For me, it's just about making good music and not thinking about anything else," she explains. "As an artist, it's important to push yourself to do your best and not really think about the other stuff that doesn't actually matter." 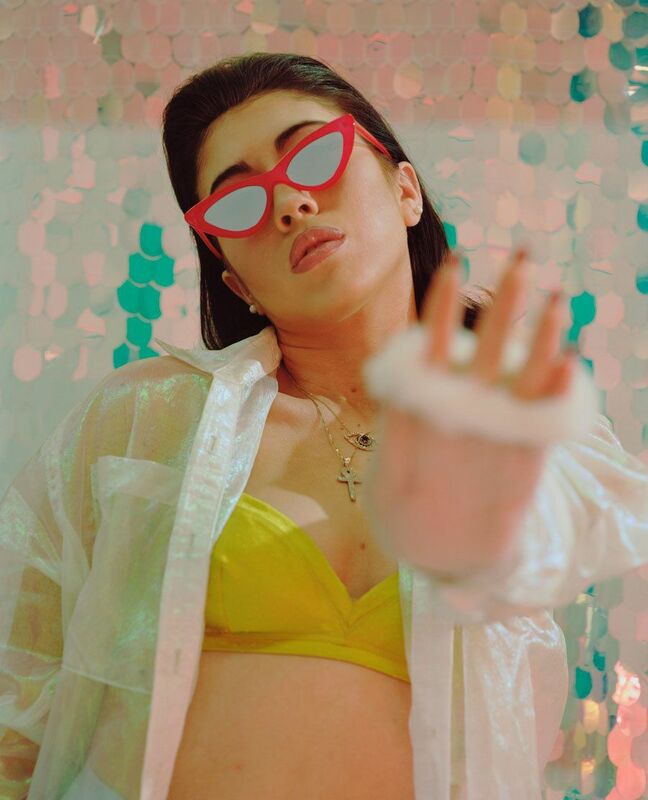 With the album finally ready to drop, Kali has a new understanding of who she is as an artist — and that means eschewing labels at all costs. "I don't look at myself as just Latina, or just a woman, or just a daughter," she says. "I'm an artist — that's who I am." Musically, she takes the same approach. Having gained fans for her mix of R&B, hip-hop, jazz and doo-wop, the singer is in no hurry to categorize her sound. "I don't really like to label myself or my music," says Uchis, in part due to her childhood as a self-described "music dork." "I grew up listening to so many different types of music. I'm just drawn to artists who are total individuals and independent thinkers, artists who have their own style and are just very authentic about who they are and what they stand for." As a public persona with over a million followers across Twitter and Instagram, that kind of genuine presence can be hard to maintain. But not for Kali, whose social media captions show a girl who finds it hard to believe that she's holding a gold record for "After the Storm," or standing on the red carpet at an awards show. It's that transparency that makes the starlet almost relatable, both in person and in her lyrics, where vulnerability is always her goal. Take "Killer," for example — the final track on Isolation, whose bridge was actually written while she was living in her car. "And if you loved me, you would never do this," she sings, "no if you loved me, you wouldn't put me through it. That makes you a killer." "A lot of people think being vulnerable means being weak," says Kali, "but it's really about being strong." Reflecting on her album, Uchis notes another transformation: her lyrics, which have moved from chronicling relationship woes to unabashed self-love. "I'm so tired of hearing songs by women that are about men, or how men have hurt them," says the singer. "I just feel like I have a lot more to say than that." "A lot of people think being vulnerable means being weak, but it's really about being strong." While many artists have chosen to use their platforms as a space to promote social justice, Kali has been careful about which causes she publicly supports. In 2016, after 22-year-old New Jersey-native Michael George Smith Jr. was found hanging from a tree in Atlanta, Uchis quickly took to social media to criticize the investigation and share a photo demanding the world stop minimizing voices of people of color. Other than that, though, she's kept pretty quiet about politics, both online and in her music, something some Latinx people have criticized her for. "I'm not trying to push any sort of political agenda," she affirms. "I speak my mind, but I don't see that as being political. Of course, if you're supporting an important cause, that's great. But capitalizing off of it or making it a part of your brand is tacky. That's just not my style." Still, that doesn't mean she doesn't have feelings about the current social climate. "I think if people were able to see outside their own perspectives, it would be so much easier to evolve as a society," she says confidently. When it comes to her own growth as an artist, Uchis is almost unrecognizable. Whereas Drunken Babble feels like Amy Winehouse-style ballads from a shy girl in her bedroom, Isolation is grown-up and self-assured. 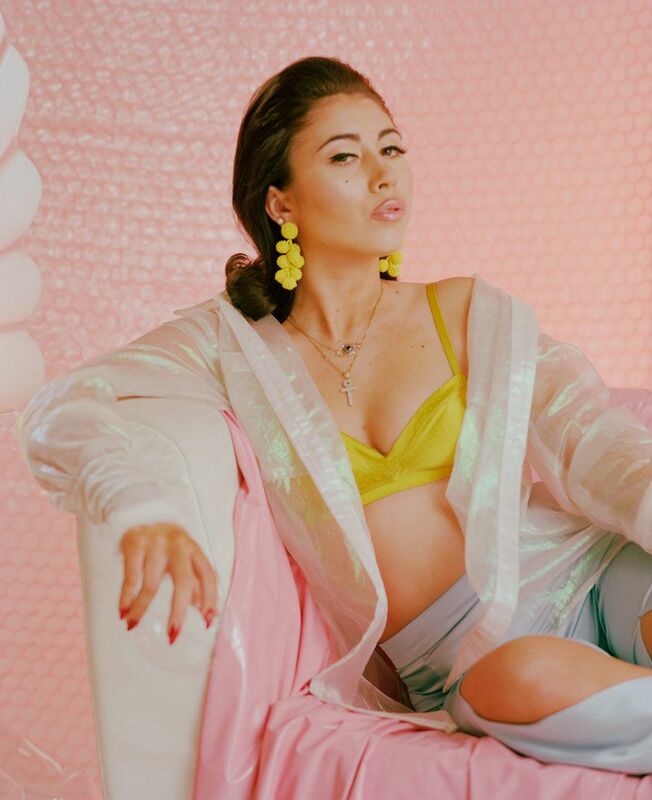 Just look at "After the Storm," her latest single with Tyler the Creator and Bootsy Collins. In the video, a yellow-clad Kali stands in front of the mirror with a dozen blow-dryers staring back at her. With wind blowing in her hair she sings, "So if you need a hero, just look in the mirror. [...] I know times are rough, but winners don't quit. [...] Someday we'll find the love, 'cause after the storm." It's almost as if Uchis is speaking to her old self — the one back in her Subaru, dreaming about being an artist. And with Isolation on its way, she's finally there. "It's nice to be able to look back and see how much has changed," she says. "I started looping samples in my room and now I'm releasing my first real album. So, everything just feels like it's happening how it's supposed to, and I'm learning as I go." There's one thing she has figured out already: "It's not about how many likes you get or how many followers you have," she says. "As long as I'm making music, I'm happy."